¡Enjoy a different tour! A full day to get into the Spanish Tradition. 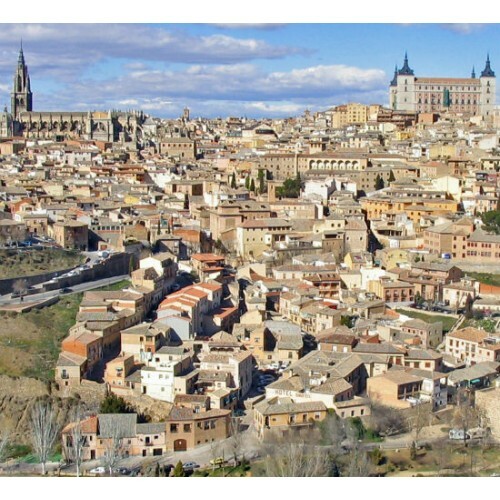 Activity: Full day excursion (8 hours) to the cities of Toledo and Consuegra. Services: private vehicle with driver and Official Tourism Guide. Departure: Date to be chosen by the customer. Time: To be chosen by the customer. (recommended before 10:00 or after 15:00) Start Location: To be chosen by the customer (hotel accomodation...) Conditions: Book at least 24 h. advance. Cancellation fee: 100% for less than 24 hours notice or no-shows. Languages​​: Spanish, English, French, German (to confirm) and Italian (to confirm). This excursion starts up in Toledo. 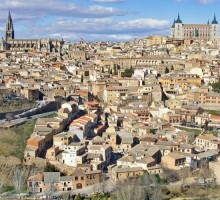 Considered the city of Three Cultures ( Christianism, Jewish and Muslim), Toledo is a whole national monument itself. 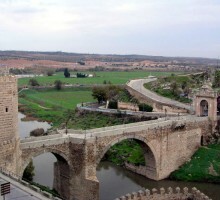 Your private guide will show you up the most important artistic and monumental places in the city. Then, our visit takes place in Consuegra, with their very famous windmills which had their appearence into Don Quijote's stories and adventures. 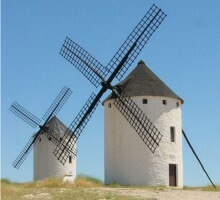 You'll be able to imagine his fights againts gigants and his trips throughout La Mancha fields. 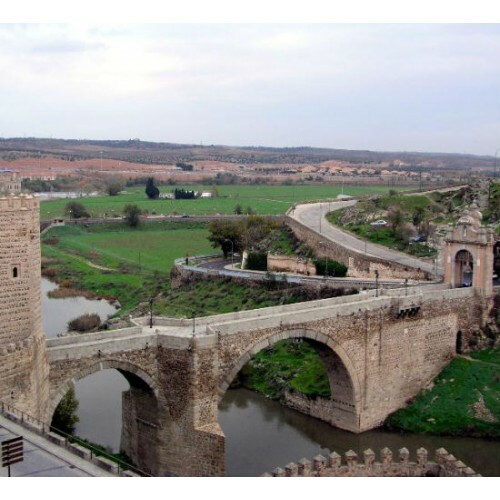 A private car with driver and your Official Tourism Guide will pick you up in your hotel to enjoy this unique path, in a 8 hours visit.